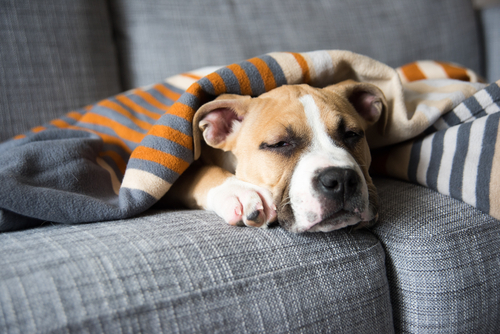 From spring to autumn, pets are particularly exposed to different parasites: fleas, ticks, worms ... In fact, the habits of sunny days and heat increase the risk of infestation. Since prevention is better than cure, protecting your cat or dog against these nasty little invaders is essential. These can indeed cause small inconveniences but also diseases that would be life-threatening ( anemia of the dog, Lyme disease...). More serious, some of these parasites are transmissible to humans and can have dramatic consequences. For example, toxoplasmosis, the terror of pregnant women, may be mentioned. This can be contracted by frequenting an infected cat and can have serious consequences for the fetus. Thus, parasites of pets should not be taken lightly and should be treated, even in its isolated wooden niche .. The health of cats , dogs and their master are indeed valuable! Pets are likely to be invaded by different parasites. These can be external or internal. Among the external parasites, the most common are fleas and ticks. Fleas bite their victim, cat or dog, to feed on their blood. They proliferate quickly and can cause serious skin problems to their victim. In particular, they cause eczema. 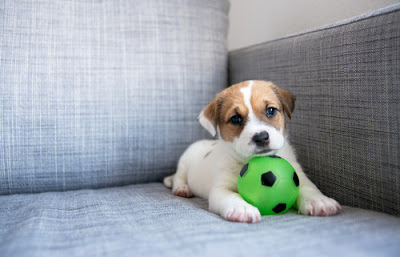 In the most severe cases, they can even cause anemia of the dogor the cat, also called feline infectious anemia, a disease that is transmissible to humans. On the tick side, they usually work alone. They cling to their host, often after a walk in nature, and drink his blood. Once sated, after a few days, they drop out. However, they can transmit serious diseases, such as Lyme disease. This can cause degeneration of various organs and systems. Cats and dogs can also be infected with other external parasites such as lice or scabies. Internal parasites are worms. Most often, they lodge in the digestive system. Thus, the tapeworm, commonly called the tapeworm, is placed in the animal's stomach and grows up until it is eliminated by treatment. It can reach two meters long and cause significant weight loss of the animal. Other parasites can still develop inside your four-legged companion: heartworm, roundworm, toxoplasmosis (in cats only) ... and their presence can also have dramatic consequences. Dog health and cat health are closely related to the absence of parasites. How to avoid their appearance or, if they are already present, how to eradicate them quickly and efficiently? Some actions can help you avoid the appearance of internal or external parasites in your dog or cat. First of all, be aware that the best prevention methods are medicated. It is therefore advisable to treat pets regularly against fleas and against worms. Against the chips, several solutions exist. The most common are applications using pipettes. The active ingredient is deposited on the neck of the animal and protects it permanently against external parasites, without being able to be ingested. Some of these pipettes are even designed to protect the environment of the animal. Your home avoids fleas or lice nesting in a mattress or other place favorable to their development. The treatment is to be repeated several times a year. There are also sprays and shampoos . They are however more restrictive to apply. As for anti-chip collars, they are generally not recommended. Not very effective, they can be annoying for the animal. Indeed, they can be irritating and do not have all stall system if the animal clings with his collar. Against worms, it is essential to deworm your pet twice a year. This product has a preventive and treating effect. Anti-flea treatments and deworming can be purchased at the pharmacy, at the veterinarian or in the pet store. As noted, some parasites are transmissible to humans. The disease is called a zoonosis. So, if the health of catsand dogs are important, that of their master is even more important. To prevent the parasites from reaching you, you will have to take some precautions too. Be very strict first with the rules of hygiene. If you need to handle your pet's excrement, do so with gloves and immediately dispose of the bulky pack in an outdoor trash can or toilet. Note that contact with excrement is the main source of contamination. Also know that 14% of cats and 21% of dogs secrete parasites in their excrement. The proportion is significantly higher in puppies and kittens. Finally, be sure to wash your hands frequently after playing or stroking your pet and before cooking or eating. Finally, choose a healthy environment. Regularly clean the surfaces your pet is in contact with. You can also use insecticides and insect repellents to prevent infestation of your home. To see if a pest attack treatment is required, you must first be sure that your pet is infected. 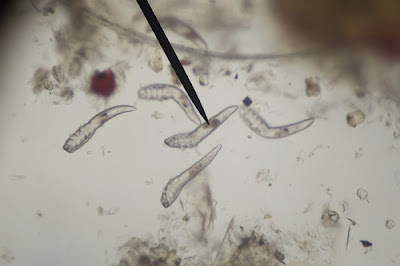 For external parasites, an animal that is scratching should put the chip in your ear. Indeed, scratching sessions are the first warning signal. In this case, obtain a pipette, a spray or a shampoo against fleas. The anti chip combs also exist to extract parasites your pet's coat. If you want to confirm the diagnosis before treatment, brush your cat or dog on a white towel. The black poop of naughty little beasts will be easily spotted once fallen on the immaculate linen. Sometimes the flea infestation is more serious. You notice an eczema on the body or lesions on the ears of your pet. In this case, a visit to the veterinarian is required. This professional will propose a suitable anti-chip treatment and a dermatological cream to relieve the skin problems of your pet. Ticks are more difficult to spot than fleas. If your pet is used to nature walks, check his fur regularly to make sure he does not wear one. If it is hit, find a tick for quick removal. A tip: do not wait to face the problem to buy this accessory. You can also go to the vet to withdraw. If your pet develops a disease later, remember to tell the veterinarian that he has already caught a tick. This can be at the origin of the disorders of the health of the cats and the dogs. Infestation with worms is more difficult to identify. Be especially careful with an animal that goes out or hunts. Ingestion of raw meat or contact with faeces of infected animals may be the cause of transmission. As for the condition of the stool of your companion on all fours, it will give you a good indication: presence of unusual granules, diarrhea ... are indeed signs. Weight loss, lack of drive and rapid dehydration are also good warning signs. The presence of worms can indeed trigger diseases with such symptoms, such as dog anemia for example. In case of doubts about the health of your dog or cat, always consult a veterinarian. Parasites can be the cause of serious disorders that must be met by appropriate treatment. Prevention and responsiveness are essential for the health of cats , dogs and their masters.